Just recently Dorna Sports and BMW have agreed to extend the German automaker&apos;s position as the Official Car to MotoGP until 2016. This is an extension of the highly successful relationship and partnership that began in 1999. As a part of its role as the Official Car of the MotoGP World Championship, BMW M will continue providing six safety cars, two safety bikes, and nine VIP village shuttles at all European events. For overseas rounds, BMW will offer two safety cars and one safety bike. 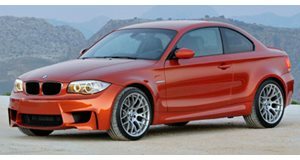 The new 2011 fleet will be lead by the new 1 Series M Coupe and the X6M. A new hybrid will also be a part of the Race Direction car fleet, with the hope of incorporating more green-awareness into the logistical management of the World Championship. This year&apos;s MotoGP season will have a total of 18 races, with the first event being held on March 20 and the final race on November 6 at Valencia, Spain.